Australian Craig Dempsey is the co-founder of Biz Latin Hub, a company that supports local and foreign businesses wanting to enter Latin American markets. Offering a range of back office services, including bilingual legal support, taxation, recruitment, commercial representation, and market entry, Dempsey believes that every business should consider making an investment in Latin America, highlighting the immense opportunities for businesses of all shapes and sizes. Dempsey and English co-founder David Wright argue Latin America offers one of the world’s most exciting economies, and they’re not alone. Business giants including Apple and China’s Didi Chuxinghave expanded within the territory, and more are following suit. Below, we chat to Dempsey about why Australian businesses should consider a Latin American expansion. I like to think that I have had a varied and interesting career. 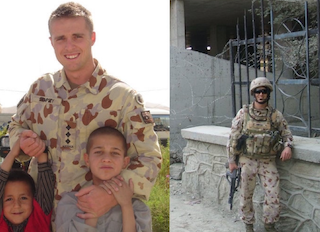 I am an Australian national and have served (and continue to do so on a part-time basis) within the armed forces of Australia. As a commissioned officer, I completed a number of combat tours in Central Asia and the Middle East. After leaving the armed forces, I then transitioned into the mining sector, and rose quickly to executive levels, working in Canada, Australia, Colombia, and Peru. I graduated from the Royal Military College and the Australian Defence Force Academy, and I am a qualified Mechanical Engineer from the University of New South Wales, and also hold a Masters in Project Management. In short, I love to be challenged and have worked in a number of industries over the years. Each of my experiences, I believe, have allowed me to become a well-rounded entrepreneur, and understand the nuances of different cultures and economies. How did the Biz Latin Hub come to be? I founded The Biz Latin Hub Group in 2014 with my business partner David Wright, after we saw some incredible opportunities for growth within the territories. It’s often assumed that countries such as the United Kingdom and Europe should be at the top of the list for US and Australian businesses, and whilst those economies make sense, venturing further afield can be more lucrative. Today, we live in a world where all businesses can be global, what with the rise of e-commerce stores and the globalization of big brands; but to enter a new market and have an impact, you need to know what you’re doing and market your brand in the best possible way. We have grown Biz Latin Hub from a single office in Bogota to a multinational company, working in markets within Latin America, including Colombia, Peru, Mexico, Chile, Argentina, Panamá, Belize, Ecuador, Costa Rica, El Salvador, Uruguay, and Brazil. Through our work, we’ve been able to develop close partnerships and relationships with other firms across the region, and we can support businesses in all LATAM jurisdictions as a result, which sets us apart from others. What’s really exciting is that we’re now in the early stages of expanding the brand across the globe. We’ll soon be launching offices in Sydney, Australian and then London, England. From these premises, we hope to support businesses that want to enter the Latin American market and also promote Latin American business opportunities for UK and Australian businesses, too. For businesses in Australia, why is Latin America an exciting opportunity? Latin America is one of the world’s fastest-growing regions and has a large population with an ever-growing middle class. I’d argue that the region is only just coming into its golden age and that for businesses in Australia, being able to enter the market and promote their products and services now is critical to their long-term international success. If you take too long thinking about the opportunity, your competitors will most likely get there before you do, so don’t delay! Of course, that doesn’t mean it’s easy to expand and become the number one business within your niche overnight in Latin America – there are some unique challenges that you’ll need to face. For example, economies can vary from country to country, and local competition can be a barrier to entry. What’s more, cultural and language barriers can also make it difficult to get the general public on your side, so working with an expert who can balance problems with the best solutions will allow you to create the right strategy to move forward and find success. What tips would you give businesses wanting to break Latin America? One of the biggest challenges my clients face is being able to bridge the professional gap between their culture and the culture of Latin America. It would be ignorant – indeed, stupid – to believe that you could bring your business to a new territory and expect it to perform in the same way. The truth is that it simply wouldn’t happen, and your business wouldn’t succeed in Latin America without prior research, guidance, and tweaking to appeal to a new target market. Not only must you think about building a team within Latin America, but you must think about adapting your marketing, finding multilingual support to assist in business development, and adapting your products and services to truly meet the needs of the local market. With the right assistance, all of those things can be made easy. Going it alone is not something I’d advise! What next for you and Biz Latin Hub? With the Biz Latin Hub, we want to put the spotlight on the benefits of Latin America, and help businesses in the United Kingdom, Australia and the rest of the world understand why it’s such a lucrative and exciting market. Aside from that, we’d love to help bring more Latin American innovations to the Western world, whether that’s in FinTech, medical or entertainment. The truth is that companies around the world are crafting innovative new products and services – and by bringing those businesses together, we can really change the way we live and do business! Follow Craig Dempsey on the Biz Latin Hub site, or connect with him on LinkedIn for the latest. Luis is a A seasoned executive, leader and growth driver with solid knowledge on media buying, email marketing, B2B sales and business development. As co-owner and COO at Silver Bee Marketing he transformed a small digital ad agency to become a Data Broker owning 350+ ranked websites across a number of highly competitive markets such as Health and Wellness, Insurance and Beauty; all monetised though partner offers and deals with data brokers. Well versed in finance, sales and operations, Luis is a well rounded executive capable of taking on challenges and coming out on top. Contact the author.